It has been a looong time since this blog got any update from me, but that does not mean I’m ‘gone’ 🙂 I’m still here, and I am still playing Lotro at the [EN-RP] Laurelin server. 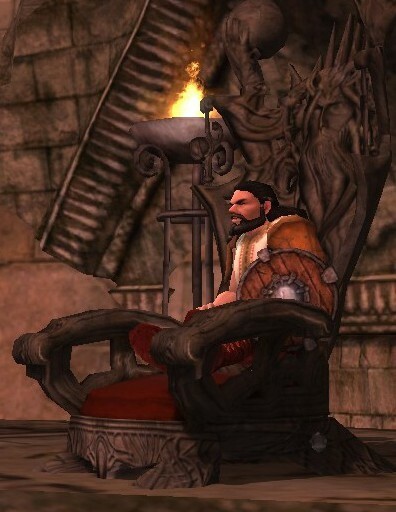 A lot of stuff have happened in Lotro the last year though, with the server merges, faulty music system updates, new updates and so on, so I am not sure why I’ve not written anything about it on this blog, and I’m a bit sorry for that. So, as a small ‘band-aid’ on the ‘missing content’ here, let me give ya a quick recap of whats happened the last year. We’re still an ‘Oldie’ Kinship and a social kinship, and we are also always open for new people that are looking for a relaxed kinship to join while playing one of the best MMO’s out there. I’m still converting tunes for in-game use, and the band ‘The Chosen Few’ is up and running again, after about a year of hibernation. We had our first ‘formal gig’ at the ‘A Day on the Greenfield Music Festival’ over on Landroval two weeks ago, that went very well (except a hiccup at the very start of it) so we are very pleased about that 🙂 We even did get the impression the audience liked our barn-dance tunes ..O.o..
← Music through the ages – Symphonies Fantastic!